Royal star magnolia is a compact dwarf form of star magnolia. It is very popular shrub kind of plant from Japan which has stunning beauty fragrance flowers when they bloom. This attractive popular multi-stemmed, short-lived small tree is very ideal to fill in city gardens or cottage ones. Royal star magnolia is a charming species of shrub or flowering tree which doesn’t grow tall. This multi-trunk flowering tree has a compact sizewhich reaches only around 10 to 20ft (3-6m) in height when it is mature. What makes this sort of magnolia popular among flowering trees, one of them, is for its enchanting showy sweet-scentedflowers. 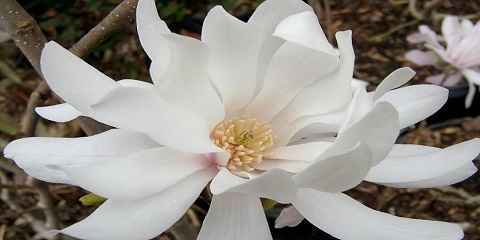 For such a small compact shrub, magnolia royal star owns quite large flowers. When they blossom, they reach 3 to 4 inch in width. These flowers are a lot different from any other flowers. 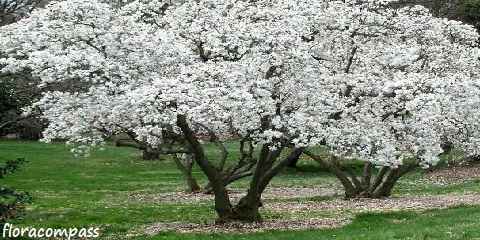 The star-shaped frilly and feminine flowers blossom early in springs with pure snowy white or pink in color. They are quite hardy type of flowers. Royal star magnolia, as we all know, is best planted in spring or fall. As it is an adaptable type of flowering tree, we can grow it in any places. 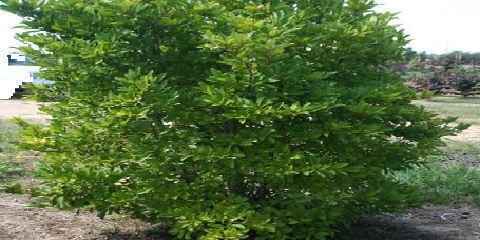 The best soils to grow this charming shrub are actually in any type of soils, ranging from clay, loam to sand. We only have to make sure that the soil is moisture enough and well-drained. We can use compost or bark to keep the soil moisture. However, we need to be careful in a certain condition. This royal star can’t tolerate any sort of extreme conditions like extreme drought or extreme wet. It can’t stand to extreme winds too as heavy winds can damage the petals of the flowers. In order to make the best look of this royal star, plant or grow this charming dwarf shrub in a sunny location, where there is full of sun. This beautiful compact tree blossoms very well when it gets plenty of sun. As it is tolerant to drought, this royal star magnolia doesn’t need a lot amount of water. We need to water it twice or three times per week only when it is newly planted. We only need to water it once a week in maturity. Mulching is the best way to defend this royal star against weeds and grass. We have to get rid of them since they can carry off the water and nutrients from the small tree. Furthermore, this kind of magnolia doesn’t require frequent pruning too. We prune this flowering tree if it is needed only. More good to know is, this popular shrub is susceptible from diseases and pests. If it gets affected from disease or pest it can be easily treated. There are some treatments to get rid of diseases from the tree such as horticultural oil and a copper fungicide. The best method to do in getting rid of diseases or pests is taking away and discarding the leaves which are affected either in fall or winter. Get a charming look of your city garden with this beautiful magnolia tree.